Solent Worktops - Kitchens based in Netley Abbey, Hampshire. 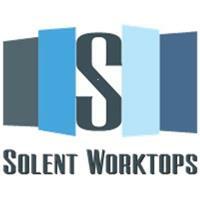 Solent Worktops is an established & respectable family company that is based in Hampshire. We have many years of experience in the world of bespoke surfaces covering all of the major worktops from Granite & Corian to Quartz, Maxtop Quartz & Solid Timber with a huge array of products to select from. We offer that personal touch when it comes to advice in selecting the correct worktop to suit a keen budget. We provide an excellent one to one service with competitive rates and carry over 200 samples of the many products that we supply & install. If you visit our web site www.solentworktops.co.uk you will find a wealth of information with regards to the products that we supply and all carry a 10 year warranty and for conformation of quality please visit our Google + page where you will be pleasantly surprised with the number of reviews from many satisfied customers. What makes us unique is not just that we specialise in all worktops but also we repair worktops as well. One of our specialties that you will struggle to find anywhere else is our ability to repair any damages for example, crack, chips etc. on your worktops.